Quality , year round sunroom addition to home. 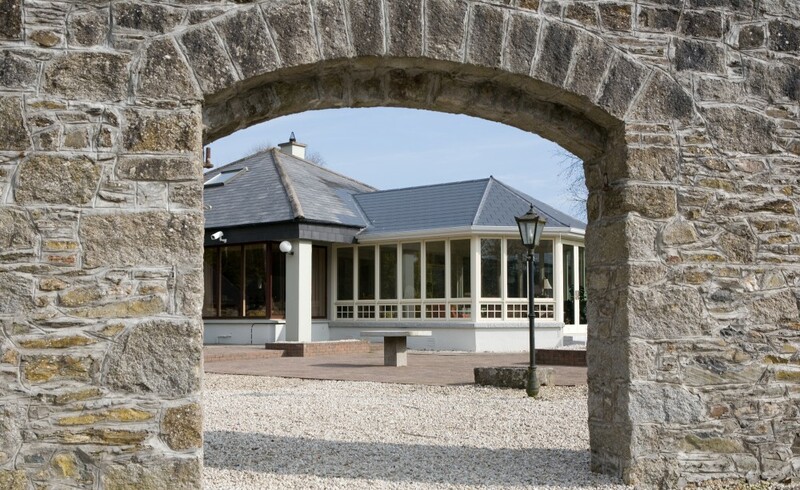 When the owners of this beautiful country home wanted to restore their conservatory they came to Signature. 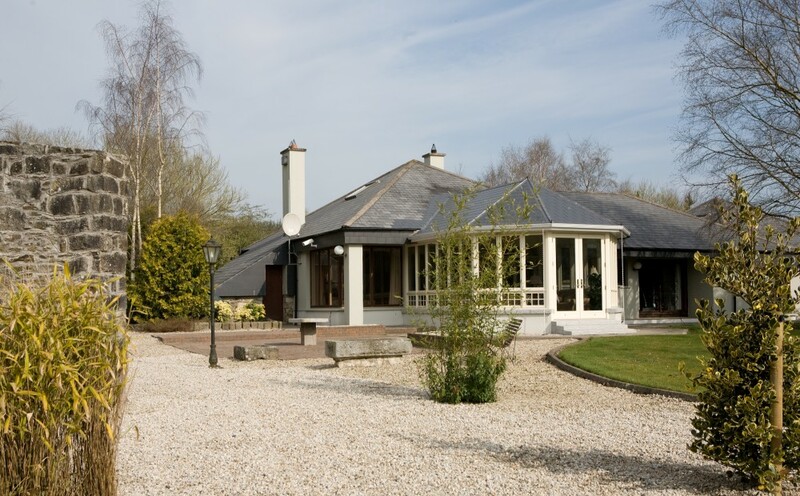 The owners of this beautiful country home were concerned they weren’t optimising the space in their home. 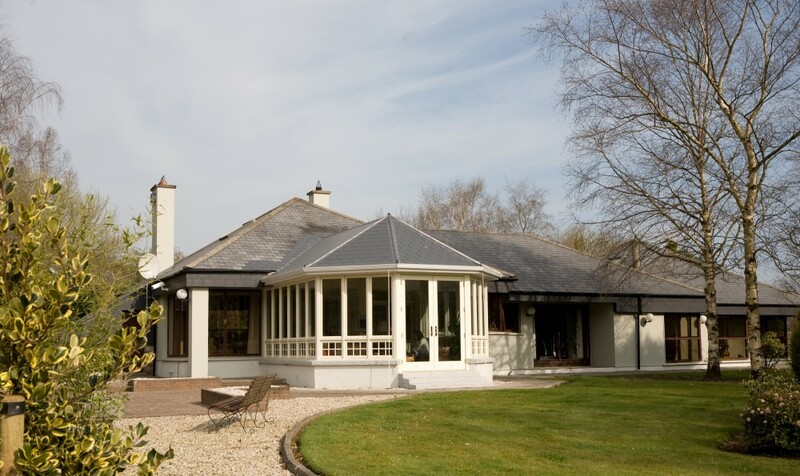 Originally built in the 1980’s, their home incorporated a glass roof conservatory with dark teak and tinted glass windows – this room was underutilised. Poor quality design meant that heat could not be regulated “In the summer it was like a sauna and in the winter like a fridge’’. The window frames in the conservatory had separated and were loose. The owners not only wanted a change, they needed it. The windows were beyond repair and total replacement was the only option. Signature came to the owner’s attention while visiting a friend’s home “The windows were beautiful and I said to John if we are going to do anything with that conservatory we should go with Signature’’. The Daly’s contacted Signature for help. Visiting the showroom to see what options they had was invaluable “better than picking from a book as you could visualise what you want”. 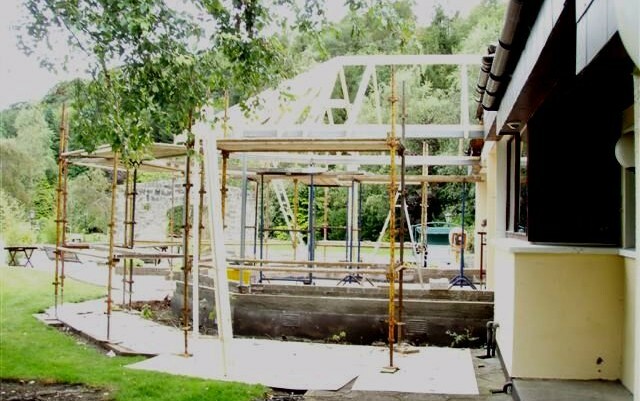 The conservatory was demolished, designed and rebuilt using the expertise of Signature Design, Technical and Replacement Divisions. The windows that were removed were recycled by Signature Windows. The brief was to increase comfort, retain light while moderating heat and to provide an expansive view into the landscaped gardens with minimal disruption. The clients were concerned the design of the sunroom (which included a hard roof rather than a glass roof) would reduce the light in the sunroom. These fears were totally allayed on completion of the project. 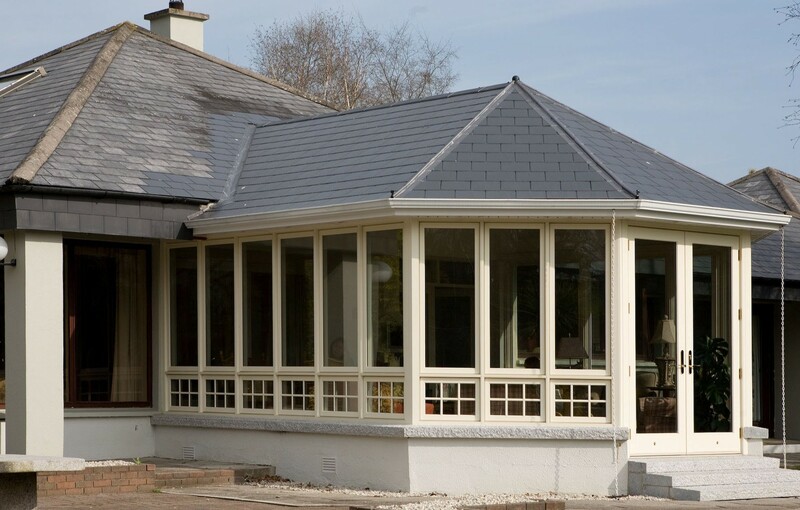 The clients realised that with a closed roof, insulation was improved which made the sunroom a lot more comfortable. The Dalys wanted a radical change from the dark teak tinted windows. They chose Coconut Cream Casement Windows and Awnings with Georgian Glazing Bar. 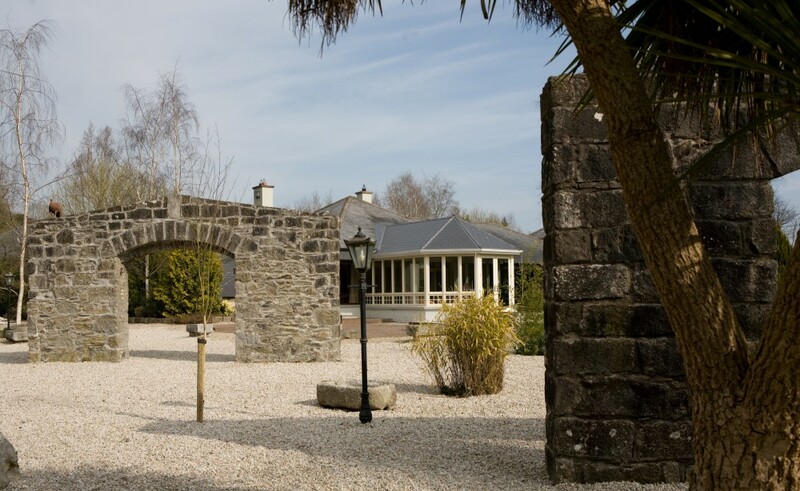 Outswing French Doors were also fitted which provide a grand entry to their beautifully landscaped garden. 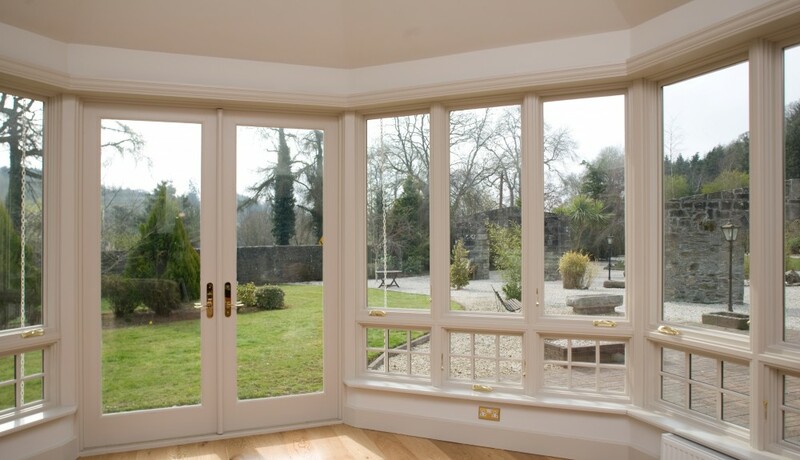 Both Casement windows and Outswing French Doors create the illusion of space providing expansive, uninterrupted views. In total 26 windows were used to create the sunroom. The clients choose brass hardware to compliment the cream windows. All Marvin windows come with clear Low E11 glazing and upgraded BER ratings (which meets the requirement of an A rated window) were ensuring a comfortable environment all year round. “The room is now my favourite room in the house”. One of the most satisfying aspects of the project is how well the extension has blended with their home “it’s like it was always there, with so many extensions they just look stuck on to your house”. The Dalys are so pleased with the extension that they are planning on replacing all the teak tinted windows in their home with Coconut Cream Marvin windows. Maintenance Free Coconut Cream Clad Casement & Awning Windows & Outswing French Doors. Factory Finished painted Interior.